Do you enjoy writing. Do you like to sit down at your computer or with a pen and paper or do you find any excuse not to start, continue, or finish. Do the words and sentences flow easily for you. Do you like to edit and hone your copy so that your ideas are cl ear and people will feel your personality and your passion through your words. Would you rather record an audio blog where you can tell a story and/or give advice on your specific area or niche. Can you connect with your audience through your voice alone like you would if you were talking with a friend or relative on the phone or Skype. 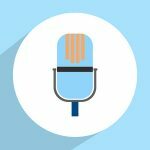 If you are good at using your voice to communicate and connect then that’s the way you should go – just make sure that you use a good microphone and recording software. Are you the type who loves to do videos. Do you come alive and does your personality shine through the camera. Is it easy for you to talk to your audience without a script and just go with the flow. Can you make eye contact and communicate your information in a fun and entertaining manner and most importantly does your passion and energy for your subject come through. Again, as with the audio/podcast above, use good equipment so you have a clear picture and good sound. Or perhaps you are drawn to do some combination of these 3. I know blogger s who w rite a great blog post and then they record an audio version so their audience can listen to the posts in the car or when they’re away from their computers. Some people write a post and then they record a short “bonus” video on the same subject with one or two helpful tips. Try out what works for you and for the subject you’re writing/talking about, change it up as you want, and keep your audience interested. 3 – Make sure to add photos, tables, graphic art, etc. to your posts. It adds interest, color, and spacing to your message making your blog easier and more interesting to read. In addition, it makes your blog signature look more interesting and attractive when you or your reader share your post/signature on social media. The idea is to get new people to be attracted to you and your blog and we are all attracted to colors, pictures, and of course interesting topics. 4 – Connect with other bloggers in your niche in order to learn from and network with them. As in any profession, sport, or skill we get better when we hang out and associate with those who are better than we are. That’s how we learn and improve as people. Participating in a community of fellow bloggers gives us the opportunity to mentor and be mentored, to receive encouragement and feedback on what we are doing, guest blog or partner with others, and most importantly to keep moving in the direction of increased expertise and success which is what I know I want and I assume is what you want too. The last thing I want to say is that all of the above items are not just applicable to blogging (but then you knew that didn’t you) – they apply to any career or activity that you want to be successful in. I’m new to blogging and internet marketing but I have been successful in other areas, professional and personal, and I know that this is what we all need to do in order to be successful in our old or new chosen fields. I also know that the only way to accomplish this is to just Get Started! Let me know what you think by leaving me a comment below and sharing this post. I would be honored if you would subscribe to follow me in my journey and become a part of my community! 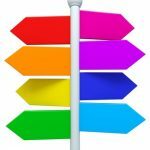 4 replies to "4 Things for a New Blogger to Know"
Great post. Simple, but poignant. I am going to try adding more videos to supplement my written posts. Mike – Thank you so much for the comment. I think I am starting to get the hang of writing blogs. Also took my own advice and wrote about something that I liked and felt good about! 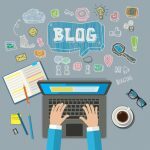 Another great thing to encourage visits and comments from other bloggers is to include hyperlinks to pertinent posts on other blogs. It is good for your own rank but also gives them a ping back so they know they have been mentioned by you, they may then visit and comment. And always reciprocate with a visit to their blog, it will help to build the relationship with them. 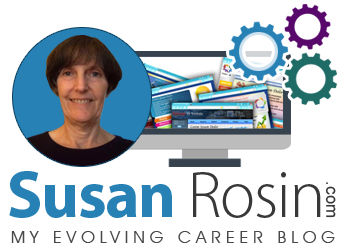 Susan Rosin on Announcing My Latest Endeavor – A Podcast!! ebaker63 on Announcing My Latest Endeavor – A Podcast!! Gary on Announcing My Latest Endeavor – A Podcast!! ©2019 Evolving Career. All Rights Reserved.